Now we have entered the second week of the summer holidays it’s important not to leave it too late to prepare for back to school! Time will start to speed up and uniforms need to be ordered and other important supplies. Luckily for you guys I have teamed up with EatWell to giveaway a rather fabulous Montii Insulated Lunchbag (£19.95) and a set of gorgeous lunchpunch sandwich cutters (£10). The unicorn design is so sweet! However, there are lots of different designs so depending on what interests your child there will be a set perfect for them. With mermaids, construction, vehicles, animals and space they pretty much have it all covered! The cutters make lunch time so much more fun. Even the fussiest of eaters won’t be able to resist one of these sandwiches! £10 is a small price to pay if it means your children are more receptive to eating their lunch. 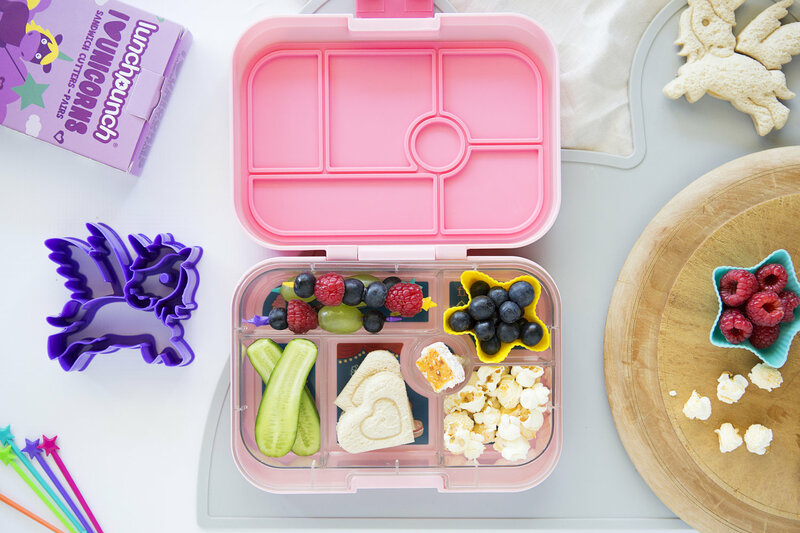 The insulated lunchbag keeps your child’s food fresh and cool even on the hottest days, so those beautiful sandwiches will stay tasty! It has a clever design, so the ice pack has its own pocket, so your lunch doesn’t get soggy! Each of the Montii lunchbags look appealing, the designs would even suit the most discerning tweens. Separate to the competition I was also sent a Doodle It and Go Chalk Book (£24.95). These are ideal to keep your child entertained! Don’t hand them your phone let them be artistic instead. Whenever you need to keep them amused pass them this book and see where their creativity takes them! Even better it comes with four ButterStix which are dust free chalks so less mess to deal with! They are easy to wipe clean but nicer to handle. Each of the products on the EatWell site have been chosen for its durability. To enter the competition for a unicorn lunchbag and sandwich cutters set please fill out the form below by the 28th of August. Do check out my other competitions too! Wow would make my children’s lunches much more exciting! Fingers crossed!